Located in London, Taj Uddin travels throughout the South East and nationwide for fast and multi-track matters. Personal Injury including RTA, EL, PL, Clin Neg, Claimant & Defendant. Property & Chancery including Equity / Trusts, particular experience in trusts arising from transfer of substantial assets within a family / friends / carers. Costs, particular experience in Clin Neg Defence Costs. Having qualified as a commercial solicitor in a city firm and founded a tech startup, he is particularly apt at giving commercially practical advice within set timescales. He relishes working on cases from the outset and developing a relationship and strategy with instructing solicitors and lay clients. 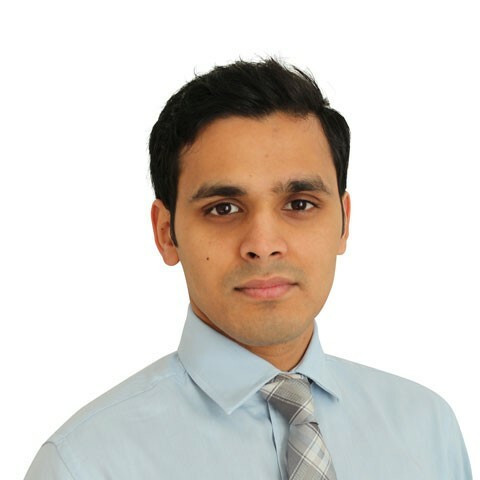 Taj Uddin has undertaken a wide range of instructions and remains keen to maintain a broad range of expertise in the areas that interest him. 2005, Mansfield College, University of Oxford. 2009, qualified as a solicitor at CMS Cameron McKenna LLP (London). 2010, qualified as a Barrister. 2013, public access accredited. Past member of Guildhall Chambers, Portsmouth. Previously a Co-founder of a tech startup dealing with relationships between Landlords and Tenants. Taj has made it to the top of Ben Nevis, Scafell Pike, Mount Snowdon, Mount Kilimanjaro and Cathedral Peak! Previously worked with and current supporter of A4ID in Tanzania www.a4id.org. Great result, you (Taj Uddin) always deliver as usual. Thanks for your service. I have recently worked with Taj Uddin on a personal injury matter which came to me at the last minute, just before limitation was about to expire. The claim was not straightforward. Taj was happy to accept instructions under a CFA and provided a prompt advise to my ATE insurers to enable me to proceed. After discussions on merits both Taj and I felt the claim should continue and once a liability expert report was obtained it proceeded to a quick resolution. I found Taj very helpful and it was quite refreshing to speak to someone who was both realistic and pragmatic in their approach which is just what the case needed. Just a quick note to thank you (Taj Uddin) for dealing so well with this matte. The client was quite anxious about it and I am absolutely aware that the paperwork she had produced was a little shambolic so thank you for dealing with it. I am aware that the client was delighted with the sympathetic manner in which you dealt with her. Thank you again and I will not hesitate to use your services when required in the future. Hi Taj [Uddin] Many thanks for the prompt report and for the way you handled the instructions. The transfer to Swansea was a sudden and unexpected bonus! Dear Taj (Uddin), I am pleased to advise that the case has been reinstated. We did not need a hearing - the application notice and my witness statement has done the trick. Thank you for your help with it. I think the point about it being a trivial lacuna swung it. (equity / chancery matter, following a successful application for relief under CPR 3.9!!! Exceptionally rare successful application of this kind in the current climate). We have called on Taj Uddin's services a few times in the last year. Both for our own commercial contracts and also to assist with commercial matters for our clients. I can say that on all occasions, Taj was able to provide us with helpful, concise and authoritative legal views on the issues at hand. Communicating with Taj (who is based in Portsmouth) was easy as he was prompt to reply to calls and emails ... he even came out to meet us in London a few times when required. Thanks for all your help!! (matters included advice on novel letting structure with local authorities and breach of directors fiduciary duties). We found Mr Uddin to be very efficient, both responding to questions in advance of the hearing and notifying us of the outcome straight away by telephone. He produced an excellent result for our client. After the hearing he provided a full attendance note. A thoroughly comprehensive service. Outside of these key areas of law, Taj Uddin (2010) is always willing to consider any enquiry requiring the experience or knowledge needed to help you or your client. Please call Taj direct or the support team on 01823 247 247 if you would like to discuss any aspect of this profile.